WE'VE HAD A GREAT RESPONSE to our 2nd quarterly White Paper in partnership with global, UK-based publisher Routledge. 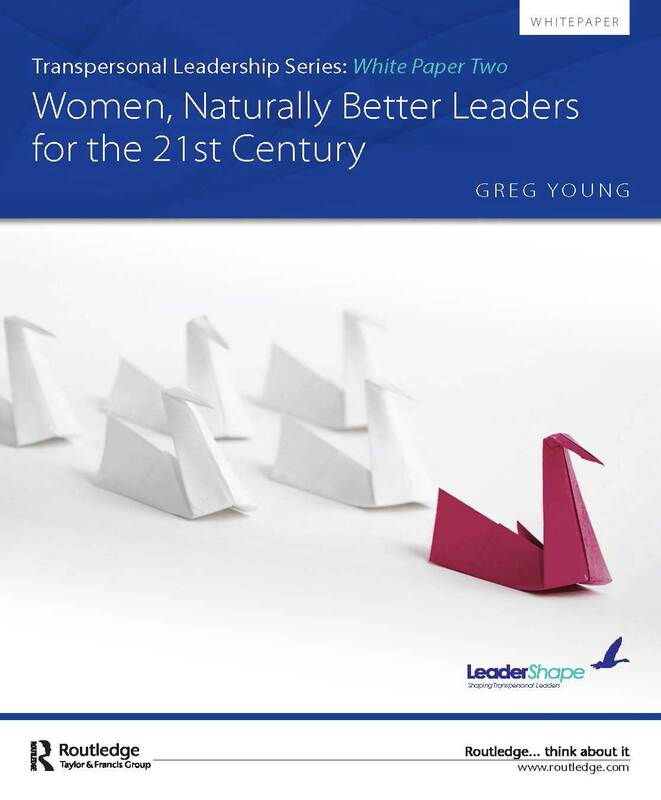 This second White Paper in our series on Transpersonal Leadership - Women, Naturally Better Leaders for the 21st Century - looks at the reasons why we women are playing a greater role on the world stage and in the workplace. It also covers the reasons behind some of the cultural barriers that hitherto have kept them from achieving parity at the most senior levels.